I have fond memories from a mid-summer overnight ferry trip from Stockholm to Helsinki. With the midnight sun—and duty-free treats—everyone stayed up all night talking, singing, and whatever. Now the Hyperloop One company wants to spoil all that fun with plans for a 300 mile-long hyperloop transport system linking the capital cities and cutting travel time to just 28 minutes. 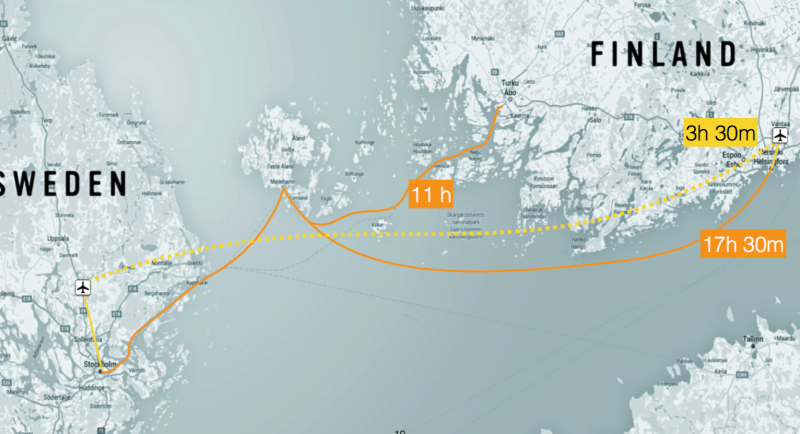 The proposed $21 billion project would include both land-based segments and trenches on the Baltic Sea floor. Just another techie pipe-dream ? 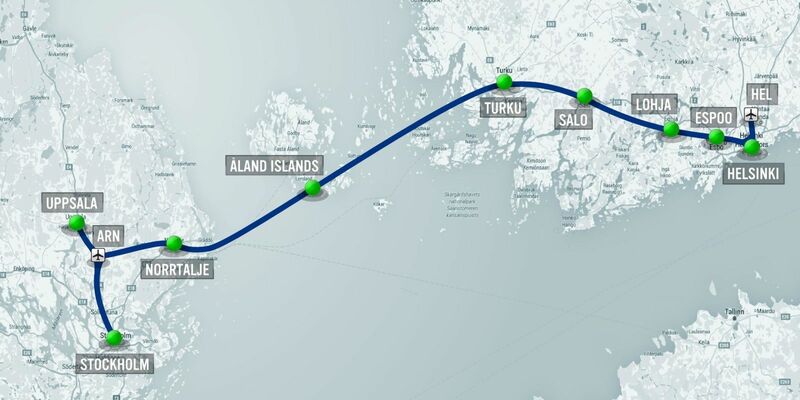 This entry was posted in Europe, Public Transport, Tech, Tourism and tagged Helsinki, Hyperloop, Scandinavia, Stockholm. Bookmark the permalink. Scandinavia – God’s idea of heaven.